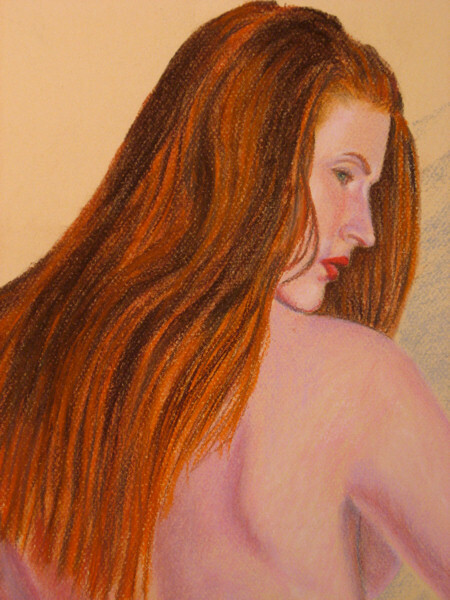 This is a pastel measuring, 24 x 18 inches. "Dulcinea In Pink Drape." Most of my pastels do not end up as finished works for sale but as I worked on this I could see it was going to be best to keep it clean. I'm glad I did. If you would like to see a larger image please go to, Dulcinea In Pink Drape.